Blade Runner: 2049 takes the symbols and ideal types of contemporary life and invests them with mythological significance, pointing a way forward out of the labyrinth of spiritual entropy that threatens to snuff out the last glimmer of our will to idealize. 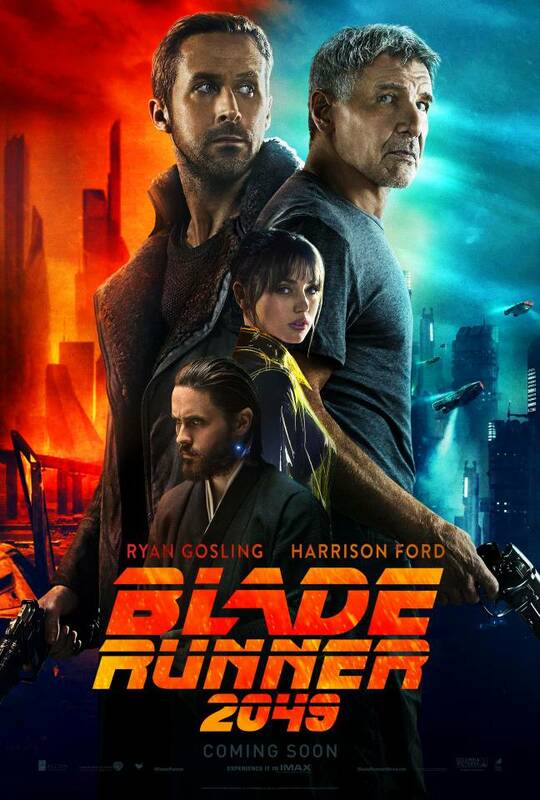 In the world of 2049, a bio-engineered humanoid named “K” is manufactured and brought into a world alien to him, to be a drone for a butch queen bee, to be a scapegoat for the merely human around him as he does the work they are not capable of. He has no concept of the possibility of disobeying commands, although an early figure in the film hints that “seeing a miracle” could change that. K is strictly controlled psychologically by the bureaucracy of his job, because his genetically modified capacities make him explosively dangerous. This official emasculation is reinforced by his interactions with female authority figures. They simultaneously humiliate him and browbeat him as they also vaguely attempt to seduce him. They refer to him as a “good boy” because he does what he is told. The two powers we see in this world are distant and technical. A gigantic police force seems more interested in controlling and destroying people like K than creating order in the city. A titanic transhumanist genius named Wallace looms in the background, a vaguely satanic figure, blind without the aid of robotic eyes. Everything about him is inverted and mocking. He summons fallen “angels” from the ceiling of his temple-like headquarters, then condemns them for their barrenness by goring them where their fertile womb should be. He feeds the cultureless masses with food processed from grubs. He’s developed the digital escape of K’s AI holographic girlfriend, cynically naming her Joi. In another satanic mockery, Wallace names his chief agent and assassin, his “angel” of death, “Luv.” She is everything we have come to loathe in a certain contemporary woman. She is elegant, career-focused, cunning, duplicitous, and ruthless. She hides cold violence behind a thin veneer of simulated female charm. Her dissimulation even extends to the capacity to lie to and disobey her creator. Why, then, doesn’t she leave Wallace? Behind her polished frame, she is afraid. We know this because whenever her commands contradict her feminine nature, she sheds a tear. This makes her all the more ruthless as she despises those who aren’t enslaved as she is. She reenacts Wallace’s ritual of death on K’s boss, enraged by her devotion to K. She is an abomination of femininity, infertile, spared from Wallace’s ritual of abortion only by her deadly devotion to her master. Set against this world which attempts to justify itself in the gigantic and the technical, we find the oddly charming simulated golden-age relationship between K and his digital girlfriend, Joi. We begin to get the sense that this ritual of love by Joi, who is programmed to please, has become something apart from mere programming. In a revelatory scene that is the key to the whole film, K and Joi are looking at DNA records. Their conversation explores how DNA and binary programming are both codes, just of a different type. K remarks that binary is even more elegant than DNA’s four possible characters, just as Joi’s disembodied devotion is more perfect than any merely biological woman’s. This suggests that it is not DNA’s organization of matter that makes us human, but the selfless devotion of love that invests our frames with spiritual significance. This devotion is mutually reinforcing. K buys a portable projector unit for Joi so she can experience the world and accompany him everywhere. In turn, she grants him the name, “Joe,” planting the seed in him that could be more than just an obedient drone, a free moral agent. Although we are given reason to doubt the genuineness of Joi’s capacity for authentic love in a later scene which reveals that her model is programmed to call every man it meets “Joe,” this ambiguity only heightens the miracle of her last act. As Wallace’s angel of death threatens Joi out of visible spite for her devotion, instead of protesting or trying to save herself, Joi proclaims her love for K.
Having “seen a miracle,” K is freed from his programming and can become “more human than human” by devoting himself to an ideal in this fallen world, even lying and killing if necessary. The selfless ideal of love symbolically justifies and fertilizes mere matter in a series of scenes. In the first, a prostitute merges with JOI to enable K to make physical love to her. This consummation of love is not without risk, as it ensnares us irrevocably into the materiality of women. But it is a risk we have to take in order to actualize love in our world. The film symbolizes this danger through K stumbling upon an oasis of life in the desert, a beehive, underneath twin statues of Joi, naked and sexually enticing. He braves the bees’ nest that is woman, and sticks his hand into the hive. After this scene, and after Joi’s final act of perfect love, K sees the prostitute again and she seems to have become possessed by the spirit of Joi, her face alive with love for the first time. The process of love investing the material world is realized. It is this figure of Joi which gives the film its shockingly numinous quality, and it is no surprise that it is she been the focus of condemnation by our own angels of death. As a digital holograph, she somehow manages to be both the apotheosis of the pathetic depths we have sunk to in our thirst for the feminine, while at the same time an otherworldly revelation of the inexhaustible fertility of pure feminine love. It is impossible to imagine a film more closely mirroring the spiritual state of current Western man. Whether intentionally or as a testament to the synchronistic power of meme magic, its characters and their actions pulse with archetypal significance for us. We too are spiritual orphans corralled and degraded by gigantic bureaucracies, ugly crowds, barren women, and satanic mockeries of our most sacred inheritances at every turn. But what this film reveals, reverently and powerfully, is that we are not irrevocably doomed by the inevitable march of cold matter to heat death. Love justifies this world, and faith in love, however mocked by our titanic overlords and their harpy slaves, prefigures the sudden irruption of the miraculous into this world of matter in the most surprising and mysterious ways.